I asked that question on Twitter while in Hamburg earlier this year. I was one of 50 international travel bloggers at the Social Travel Summit (it’s a seriously awesome and inspiring conference, apply for it next year if you’re a serious blogger) and the German National Tourist Board gave us a surprise invitation to pitch a unique trip to showcase German traditions; I was fishing for ideas with my tweet. (If not, tell me in the comments what came to your mind). While I love German beer (and radler), it was only recently that I learnt that Germany is the home of one my favorite wines – the Riesling! And all through summer and fall, the countryside comes alive with traditional wine festivals. 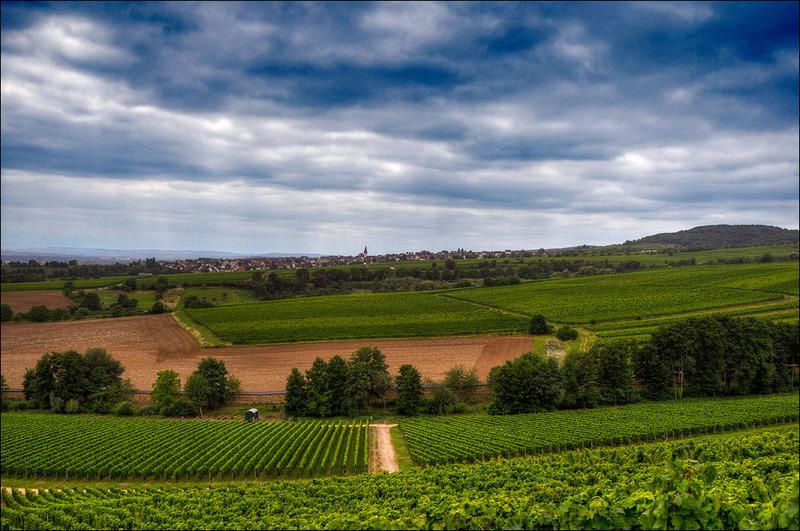 Vineyards of the Rhinegau. Photo by Romtomtom. 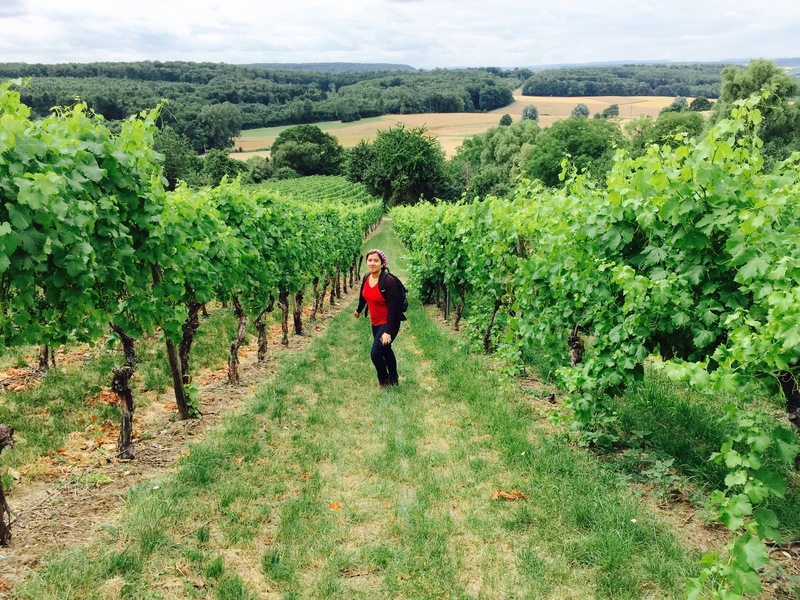 I knew my pitch – #NotJustBeer – a 2 week trip through the Rhine Valley to experience and showcase Germany’s lesser-known wine culture. And thanks to a suggestion by fellow blogger Kash (of BudgetTraveler) – bring a slice of it back to India with a wine tasting and Google Hangout event with my readers. Over the next two weeks, I’ll revel in the traditional Rudesheim Wine Festival in the scenic Rheingau, sleep in a wine barrel (! ), hike along Pinot Noir and Riesling vineyards, learn the art of wine making at a Medieval-era monastery, and shadow a wine merchant in his cellar! Cruising along the River Rhine. Photo by Robert Brands. Follow my live updates on Facebook, Twitter and Instagram. Join Germany Tourism on Instagram, which will be curated by yours truly in the second half of August. Keep a lookout for my German wine tasting event in India; tell me in the comments whether you would like to attend in Delhi, Mumbai or Bangalore? See you from the other side. Prost! Update (Sept 30, 2015): I ended my trip with some great stories! Check out how I sneaked a peek into Germany’s wine culture at the Rudesheim Wine Festival and discovered the surprising world of German wines (including sleeping in a wine barrel). How cool! congrats! Riesling is one of my favourites too. Thanks Mani. Can’t wait to see what this trip has in store for me 🙂 Cheers to our Riesling love! Wow sounds so cool!! I love wine myself and I need to plan a trip myself. Meanwhile, quite eager to read your updates. And ofcourse the event that you plan to organize back in India. I am so pleased that you like Germany that much. I am from Germany, Munich, I migrated over to the U.S.A. 25 years ago living in California. Almost every year I visit Munich for family events. Actually I am leaving in 2 weeks for a short trip for the wedding of one of my nieces, at the country side of Munich, with an stop over in Stockholm for a few days. Beginning of next year Wanderlust, will lead me to India, a dream since I was young. I feel jealous, I am your same age and I always dreamed of travelling. Now that I can use your tips and advices. Thanks, and all the best for your upcoming adventures. Looking forward to the event that you will be organizing in India. Wish you have it in Bangalore. Congratulations Shivya! Following your #notjustbeer journey virtually. Hic! Have a great time Shivya and it’s true Germany isn’t just great beer but great wine too. 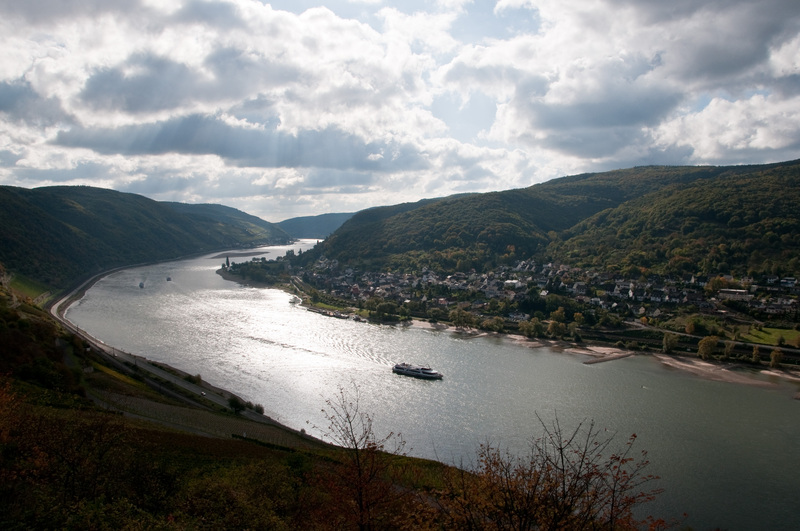 The Mosel area is really lovely as are the cases of wine. I live in Germany so I can’t wait to read all about it. Viel Spaß! I’d say heavy metal 🙂 And Western classical music. aww… May i know how you fund your trips..? might not be an appropriate question but i need to know the answer. I’m an enthusiastic traveler however managing my finances without a job getting difficult for me. Really need your answer on this. We love beer but we were pleasantly surprised when we combined a trip to Oktoberfest with a trip to Wurzburg (in Franconia for Wine (they also seem to poor really large glasses in Germany!). Sounds like super fun! Have a fabulous trip! IT IS AWESOME. WHENEVER I TRAVEL, I GO FOR AN EARLY MORNING WALK AND HAVE A CUP OF TEA AT THE ROAD SIDE TEA STALL AND DRAG THE STALL OWNER FOR A CONVERSATION. HE JUST OPENS UP AND I GET AN INTERESTING LIFE STORY. I KEEP TALKING TO PEOPLE DURING MY TRAVEL AND IN INDIA PEOPLE ESPECIALLY THOSE WHO ARE NOT WELL EDUCATED DO NOT HESITATE IN OPENING UP WITH A STRANGER INSTANTLY. NOW I AM PLANNING TO WRITE DOWN MY CONVERSATIONS WITH THOSE I HAVE SPOKEN SO FAR. Previous PostUnexpected Ways Long Term Travel Has Changed Me. Next PostGo to The Caucasus Mountains, Find Your Soul, Set it Free.